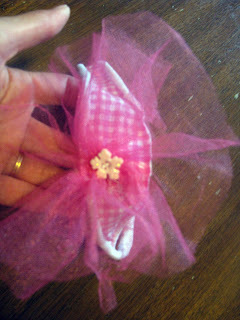 Curly and I created a floral headband to match an outfit we made recently. 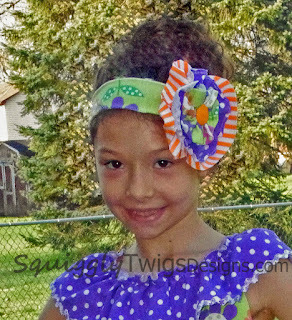 We used techniques from a previous tutorial to create this headband with a different fabric. Knits are easy to work with, finished edges or not. The knits we used in this project have a vertical and horizontal stretch. Headbands work best with knits that have a reasonable amount of stretch. Look for knits with lycra or spandex in the fabric content. Interlock or jersey may not have the stretch you need for a good fit. Any type of fabric will work in the flower, though. Fabric strips for the flower 2 times as long as the diameter you want your flower. Our strips are 4" x 16", 3" x 12", and 2" x 8". Too long is better than too short. Sewing supplies This can be done with a sewing machine or needle and thread. 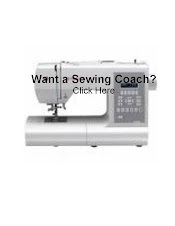 Sewing machine instructions will be given in the tutorial. 1. Gather along one long edge of each flower layer. Pull gathers tight to create a circle. 2. Stitch headband, right sides together, along the short end. Use a 2 wide by 2 long zigzag stitch. 3. Stack floral layers on top of each other. Stitch together. Add center. 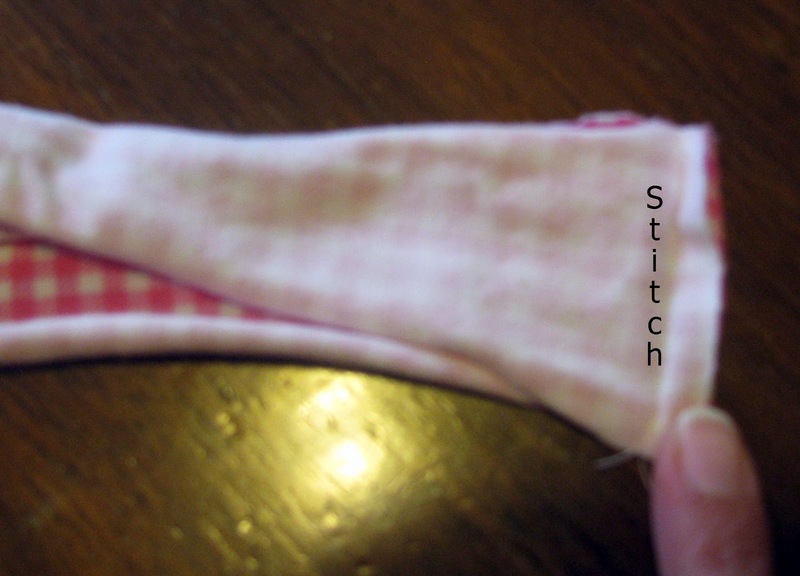 Stitch to the headband. 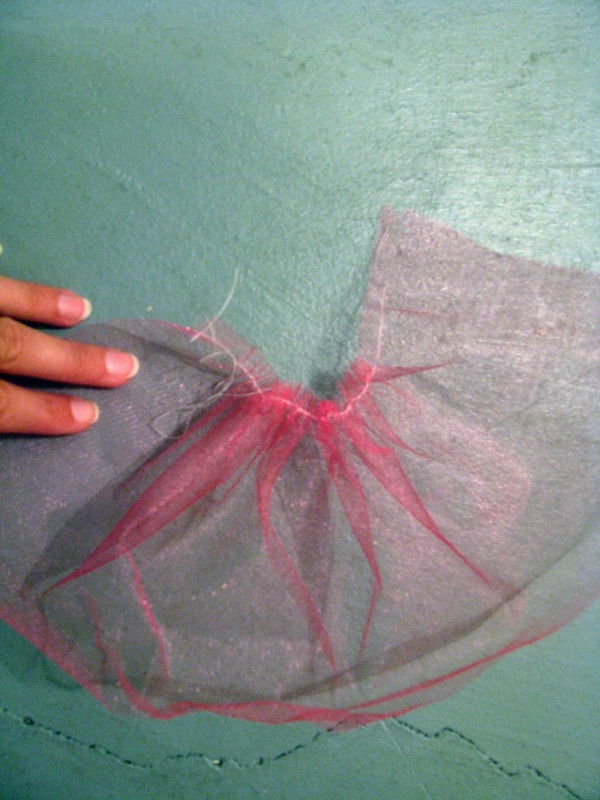 Make sure your headband seam is in the center back and your flower is off-center top. 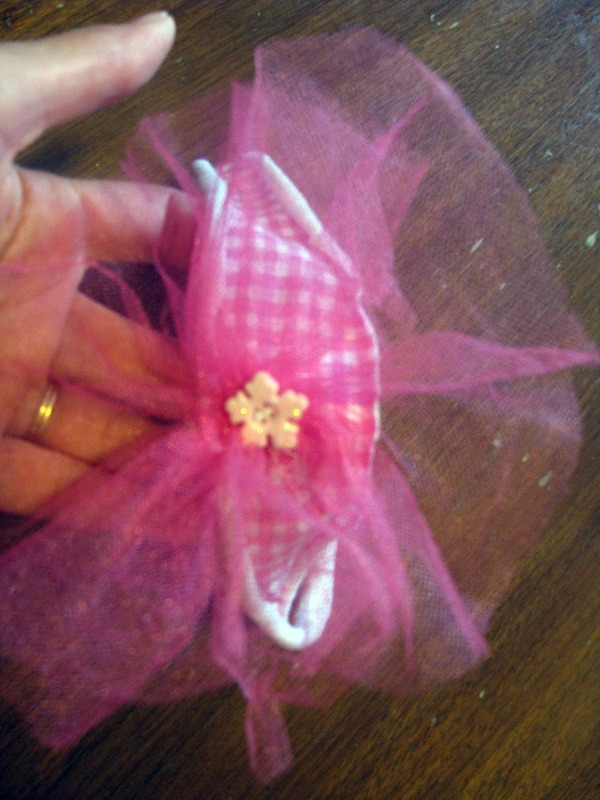 You can also fasten the flower to a clip so that the flower and headband can be worn separately.